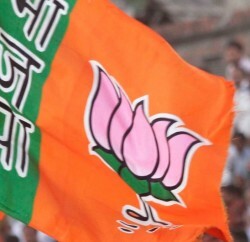 Eyeing at the forthcoming parliamentary election, BJP has made few changes in its internal set up and reshuffle few state in-charge. In this process BJP has also changed Himachal Pradesh party in-charge as veteran Journalist turned political leader Balbir Punj has been given responsibility of Himachal Pradesh. Earlier Punj was party in-charge of Gujarat state. Prior to this, Kalraj Mishra was party in-charge of state. Balbir Punj is a journalist and columnist and considered close to RSS. He is a member of the Rajya Sabha representing the BJP. Recently on 31 March 2013, he was promoted as one of the Vice Presidents of the BJP. Former Chief Minister and leader of opposition Prem Kumar Dhumal and state BJP chief Satpal Singh Satti have welcomed the appointment of Balbir Punj. 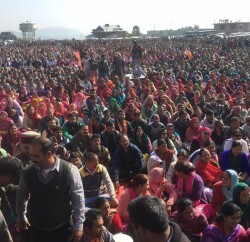 The two leaders believed that Punj’s appointment would not only strengthen the BJP in the hill state, but the party would also benefit from his vast political experience and maturity. BJP leader from Himachal, GP Nadda was retained as in-charge of Chattisgarh state.